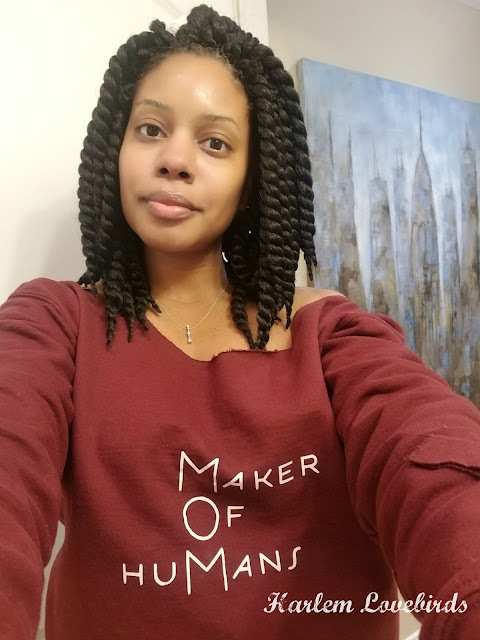 Disclosure: This post is sponsored by Carter's; however, all thoughts and opinions are my own. Just because fall is fast approaching doesn't mean we're slowing down up here in New England! 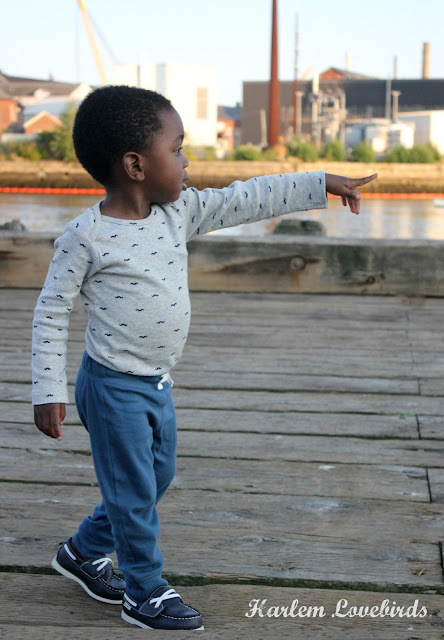 Grayson is fully embracing all the excitement of being 2 years old and when we're out and about exploring Portsmouth people always comment, "Wow, he seems like a lot of fun!" Truer words have never been spoken. Grayson's been wearing Carter's since he was a newborn and with their staples like the Original Bodysuit it's been easy to create an entire baby wardrobe around this essential piece. He even has preferences now on which ones he wants to wear! We stopped by Carter's to pick up a few items for fall and made our way around Portsmouth. From head to toe, Carter's has Grayson looking stylish and their playful sayings on their bodysuits always get a laugh from passersby. Grayson's morning routine includes trucks. Lots of trucks. 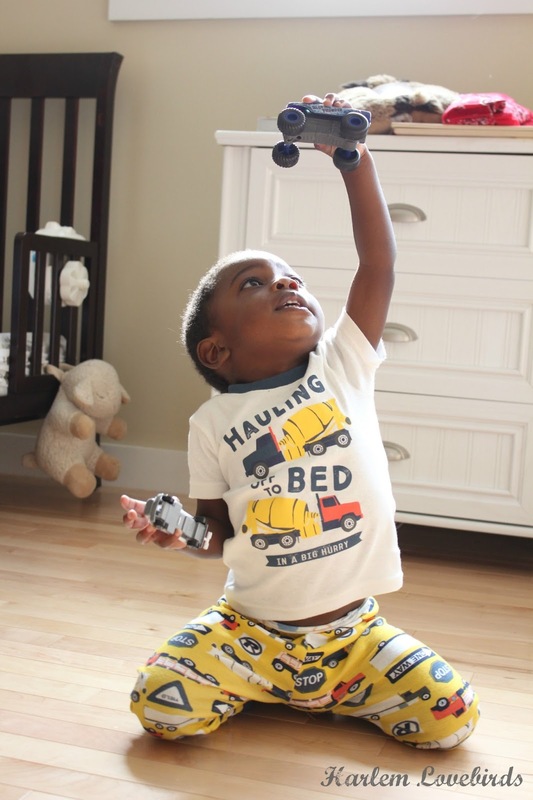 Sleepwear - Carter's pajamas have always been a favorite for both of my children, but now that Grayson is into everything that moves he's especially ecstatic about their construction prints. He even picked out firetruck footed pajamas for when it cools down and has asked repeatedly to wear them! Because Carter's sleepwear is so adorable I have no shame with him wearing them when I run Nia to school drop off or local errands. Grayson was concerned about the wobbly planks on the dock. Playwear - This is where to look for pieces that will stand up to spills, rumbles and falls and the Original Bodysuit is a daily must-have. Plus since Carter's keeps so much variety in their pieces it's very easy to mix and match. The little mustache print I picked out for Grayson makes for a fun outfit and adds a bit of humor to everyday dressing. And don't forget leggings. There's never such a thing as having too many! Carter's fabric is super soft and the banded leggings show off adorable shoes. Waiting to be seated for brunch never looked so good! Dresswear - This isn't too dressy as in suits and ties, but definitely a step up from normal everyday wear. 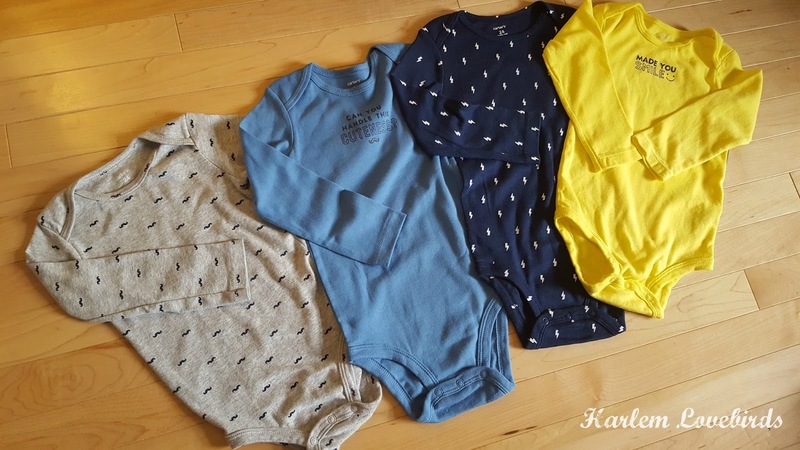 The attention to detail on Carter's special outfits such as the patches on the elbows and careful stitching really make for standout pieces and are perfect for heading to special family functions and events. 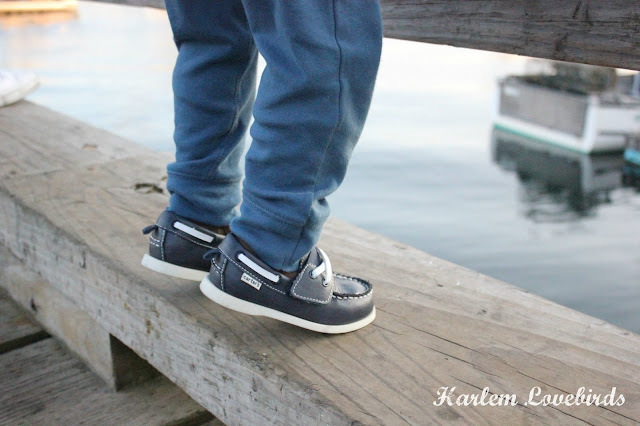 Shoes - Who says baby boys' shoes aren't cute? Carter's has so many options to choose from and their boots and loafers for fall not only look amazing but have velcro to hold the laces down and for easy on and off. 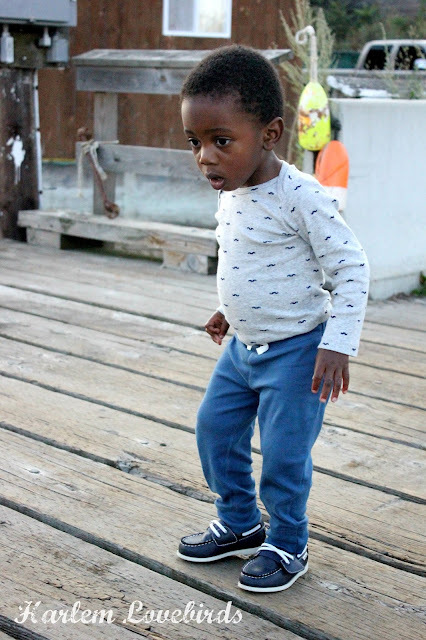 Grayson is into his shoes too marching and stomping all around - he really makes us laugh! 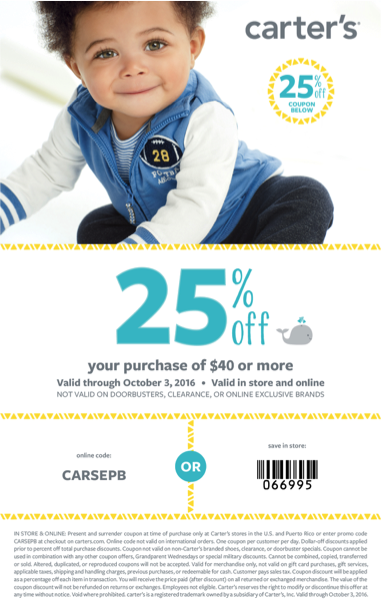 Carter's is also giving fans a chance to win 1 of 42 $100 gift cards to shop! 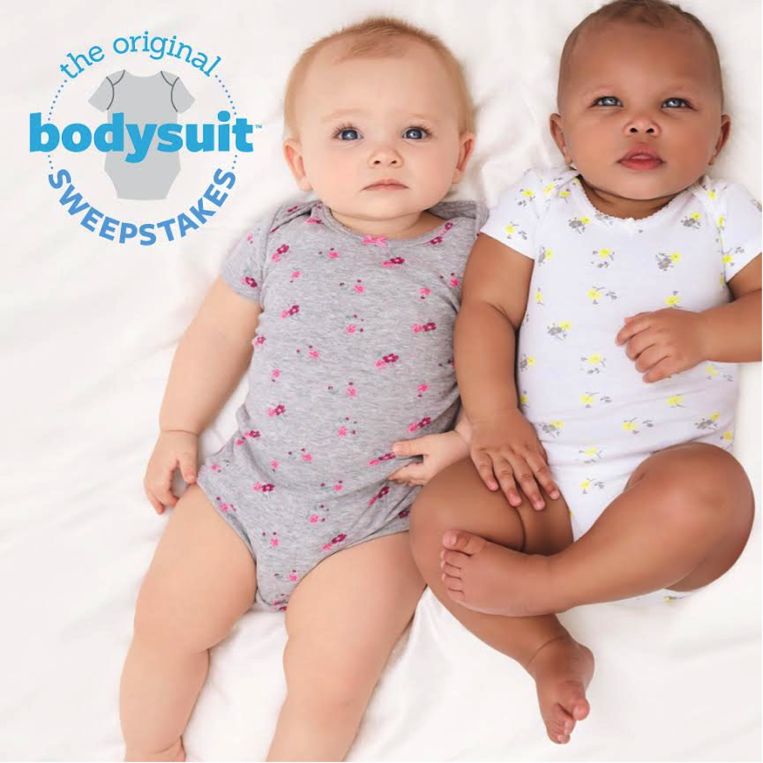 On September 8th to celebrate the Original Bodysuit when you post your little one wearing a favorite bodysuit using the hashtag #originalbodysuitsweepstakes on Instagram and Twitter you can win big! The sweepstakes will begin at 10a.m. EST and end at midnight (11:59p.m. EST) with 3, $100 gift card winners selected every hour. 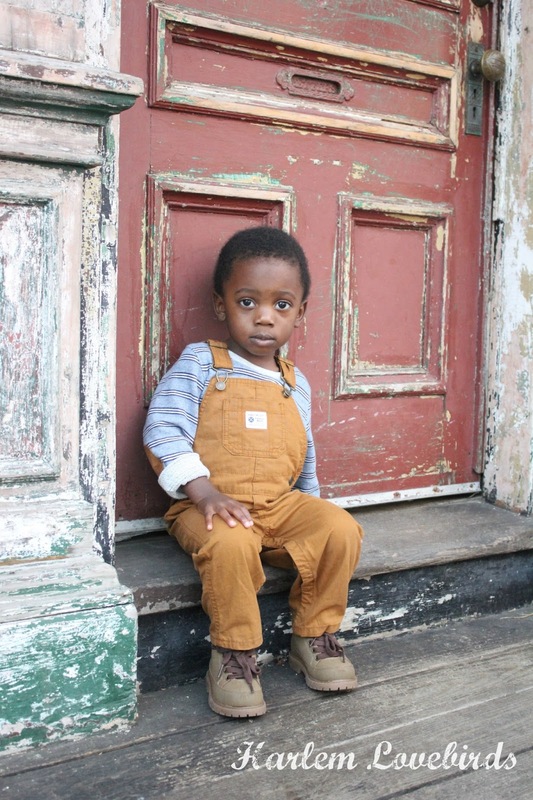 To get shopping now check out Carter's store locator and shop online on their website as well.